Custom items refer to those I specifically commissioned an artist for, or works that an artist had already made that I purchased. 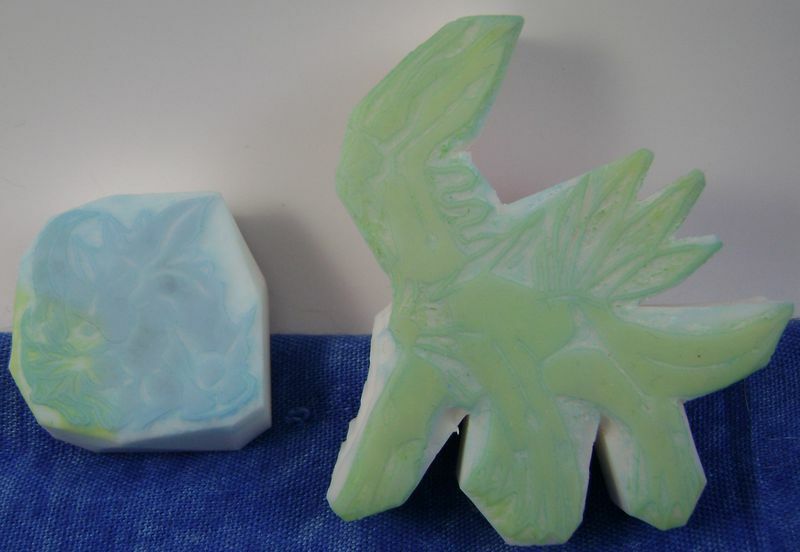 Many of these had been lumped into a section at the bottom of my 'Other' page, but these are too unique and special to be hidden there, so I created a page just for them! Note that this is only my Dialga customs - my Jolteon and other customs can be found on their respective pages. 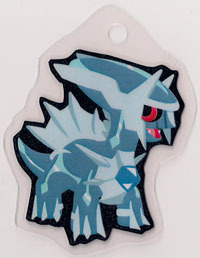 Bell plush (鈴なり　ポケモン) are an old Banpresto series that featured a few dozen Pokemon from the first generation. 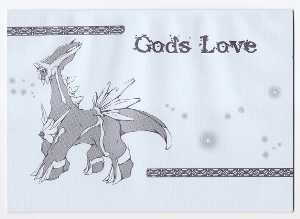 (I have the official Jolteon on my Jolteon page, and Dratini, Dragonair, and Dragonite on the Dragons page.) There were 3 different sets made, but Banpresto hasn't revived the series (yet). At pkmncollectors, we love our bell plush, but we love our newer Pokemon too, so some artists have made custom ones, and here is mine! Dialga makes for a pretty unusual bell plush, because none of the official ones were on four legs - quadrapeds such as Jolteon are sitting up. I think he was quite a project, but I'm very pleased with the result! 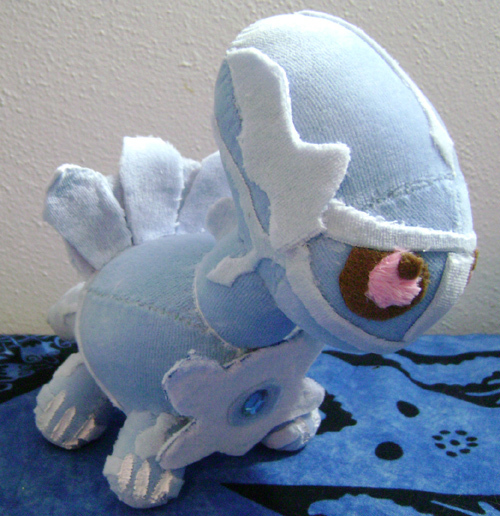 This plush was commissioned from PrincessPyro00 to be like the Canvas Plush series - small and with softer colors than most plush. 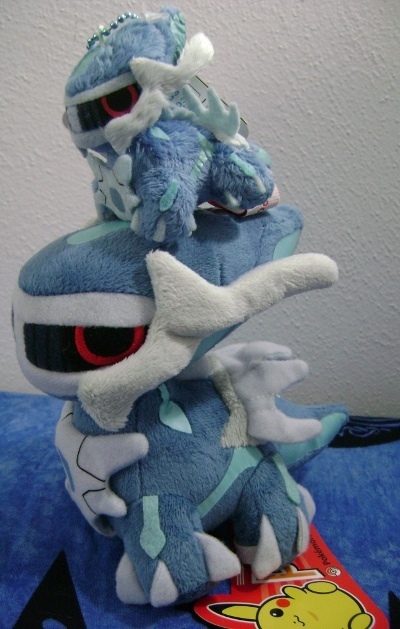 He's a bit big to really fit in with the other canvas plush, but hey, he's Dialga ;) This is my first plush or figure commission of Dialga! 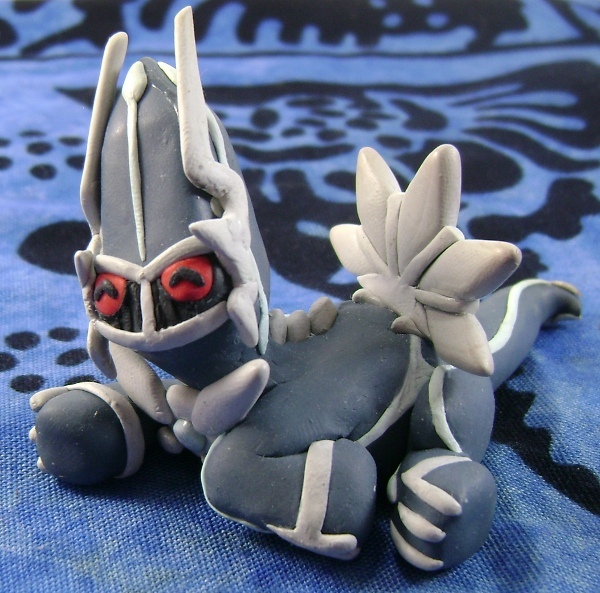 My first sculpture commission! It may seem a little silly to commission sculptures of a Pokemon that has over 100 official figures, but he doesn't have any in this kind of pose! This actually is mostly based on the art Caffwin also did for me, which can be found lower on this page. 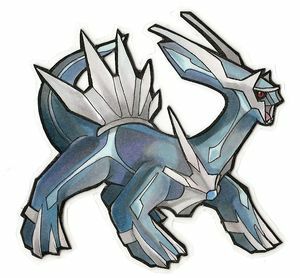 Only a dozen or so Pokemon from the 4th generation were selected for the official shiny Kids lineup, and unfortunately Dialga and Palkia were not featured. To make up for this, fernchu sent me this lovely custom painted one as part of a trade! Thank you! 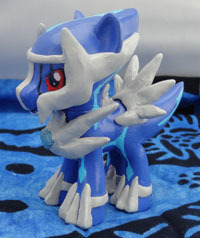 Customized or modified My Little Ponies have probably been around almost as long as My Little Ponies themselves. 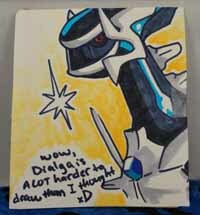 I'd seen a few Pokemon modifications and thought Dialga would work well as one (some call him the time pony, after all), but I didn't know who to ask for one or how much it'd cost. 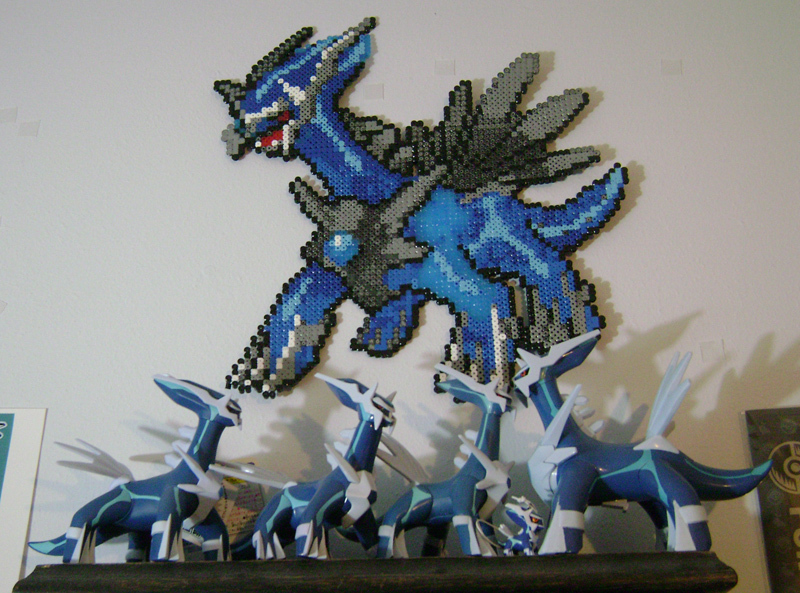 A year or two later, chibisilverwings posted a few "Poke-ponies" on pkmncollectors, and she allowed me to commission this Dialga for a very reasonable price! In addition to her large fancy plush, Usakochan also offers commissions sometimes for Pokemon tails (or claws, or flowers, etc). So I took the opportunity to get a Dialga tail! It's quite sturdily made, and stayed on my bag for my entire trip to Japan! 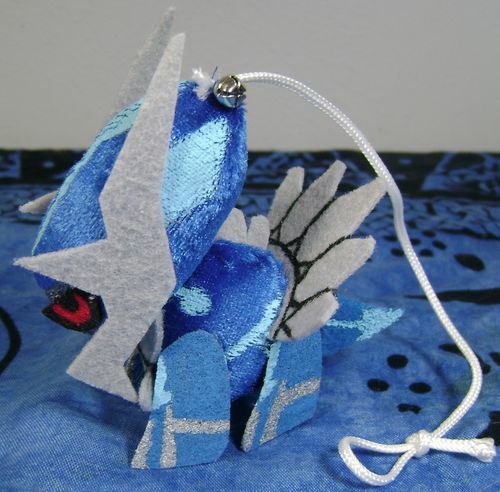 Ok, this is not actually a handmade one-of-a-kind item like the others on this page, but part of a series of unofficial DX Pokedolls and mini keychains sold on eBay recently. 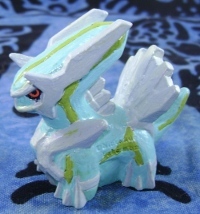 Unlike most bootlegs though, there isn't an official version of it (unless you count the big Pokedolls themselves) and it seems to be fairly well made, so I count it as a custom in my collection! 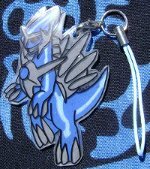 This is from a neat collaborative effort between two friends in pkmncollectors - one makes laminated bookmarks and the other makes sculpted charms, and they combine to form a useful bookmark! 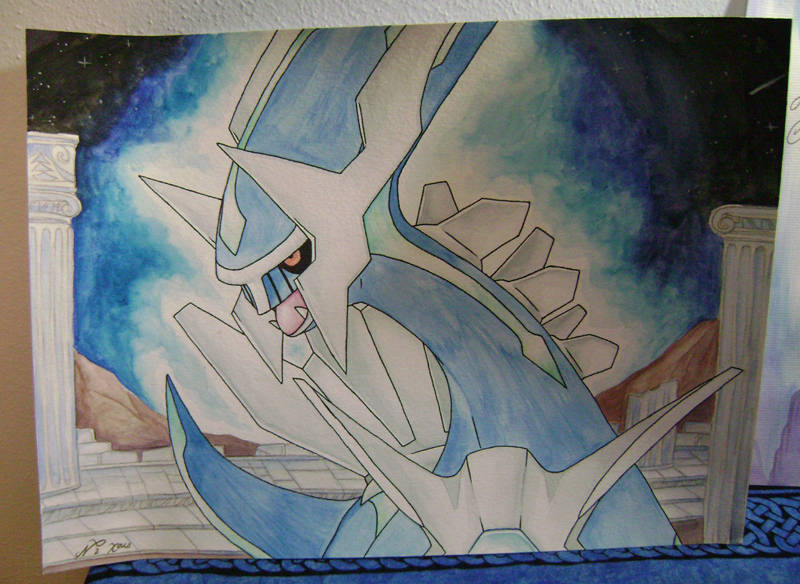 Here is the Dialga one I commissioned. This huge (about 14"!) sprite is based on the Platinum battle sprite for Dialga. He was made for me by miss_fuu_chan of pkmncollectors, and came with a much smaller Jolteon sprite that I also commissioned! 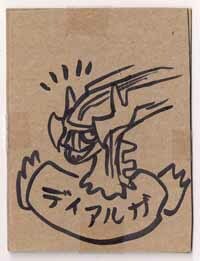 While checking the Dialga auctions on eBay one day, I found one of yoshito2007's auctions for the larger Dialga stamp here. I bid right away, but I also noticed that they'd mentioned in the auction that they could be contacted to have a custom stamp made. 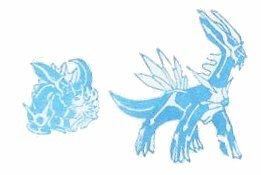 I contacted them right away and received a custom Dialga and Jolteon stamp! 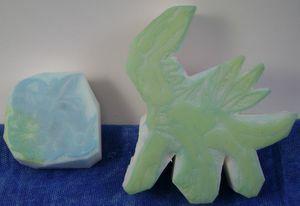 To the right is an example of what both of them look like stamped. Drag0n_aura does a cute Pokedoll-esque style, and I chose to get a Dialga on a starry background! 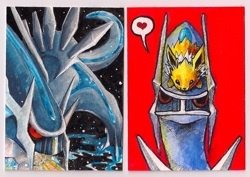 I was impressed with the art on these when she posted them to pkmncollectors, and quite pleased with the Dialga (and Salamence) card I commissioned. 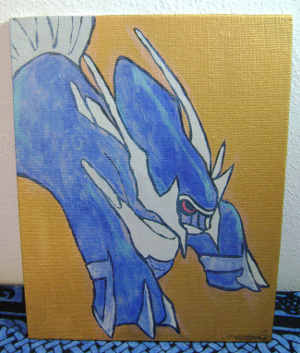 The card is about the size of a Pokemon TCG card and has metallic paint for the steel grey parts! Keymonster opens up art commissions from time to time, for both traditional and digital art. 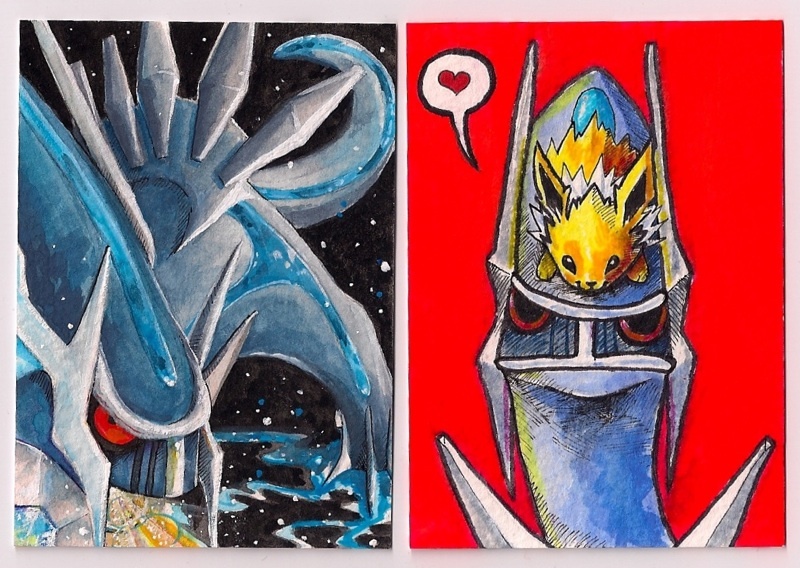 I asked for an ACEO, and received both a lovely and uniquely posed Dialga, and a freebie of Dialga with a little Jolteon! This artist put up commissions for ACEOs, so I took the chance to add another to my collection! I lucked out though and received full and colored versions of all 3 three samples provided! 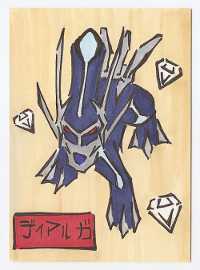 My second Dialga ACEO is from rocket_chick, in a classic Japanese style! 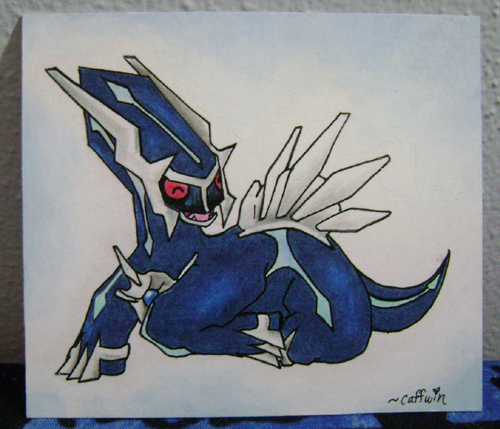 Another ACEO, this time done in marker! 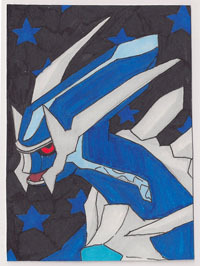 I requested Dialga with a starry sky. 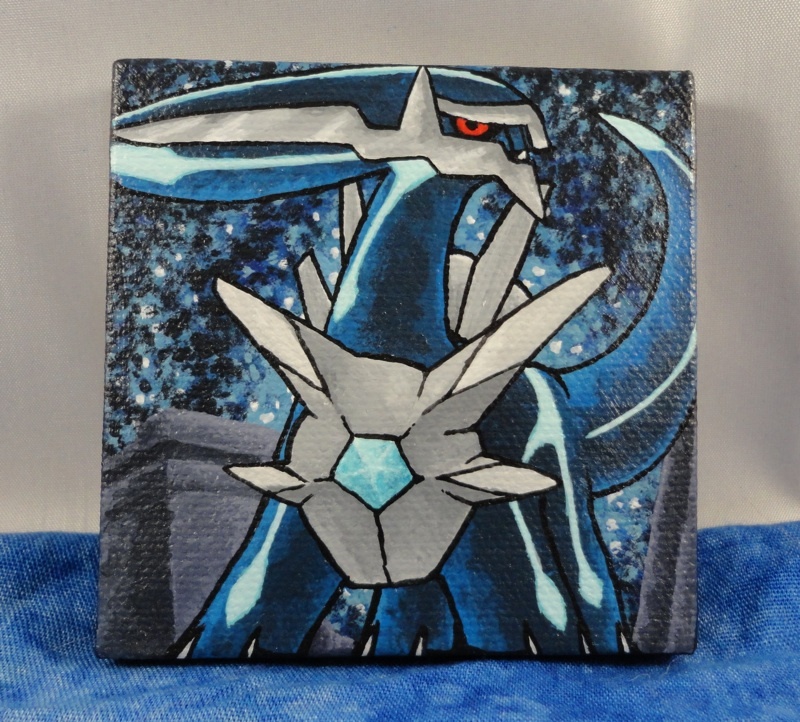 I've commissioned a number of Dialga ACEOs now, so it might be hard to come up with a unique pose, but I think Aarux did a great job of it! 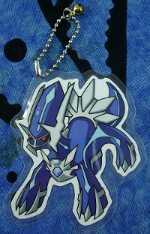 Bonus points for featuring Primal Dialga, who I have very little merch or art of. 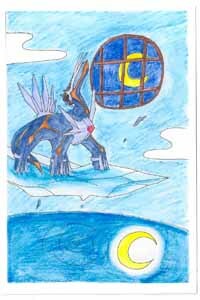 This isn't exactly an ACEO, but it's similar! There seems to be a trend of customized Yu-Gi-Oh cards, and this one was hand-painted and put on eBay. 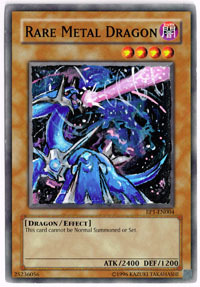 It looked like the artist just liked the idea of turning a Yu-Gi-Oh "rare metal dragon" into a Pokemon one. 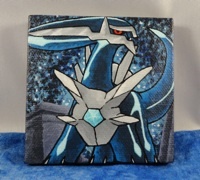 This painting comes on a cute little canvas, about 3" square! I asked for a dynamic spear pillar Dialga, and am quite pleased with how he came out! 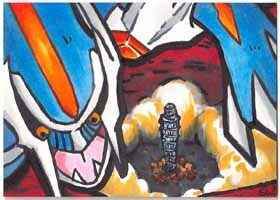 I was really wowed by Xous's art when he posted some of his Arceus and dragon trio art, so when he posted to take commissions, I was quick to sign up for a Dialga with a spear pillar background. I'm very pleased with the result, and it was a good deal too! I was at my first doujinshi (fan-made comics/etc) event in Japan when I spotted this postcard. The art didn't totally wow me (though it looks nicer up close than I thought at a distance) but considering it was 2012, I thought it was probably the only Dialga item I'd find there, so I nabbed it as a souveneir. If you know this artist or have a link to their website, please let me know! I only know that they gave out Pokeball shaped magnets as freebies with a purchase. My first Pokemon doujinshi, or fan-made manga! The story focuses on how Dialga and Palkia just can't get along. 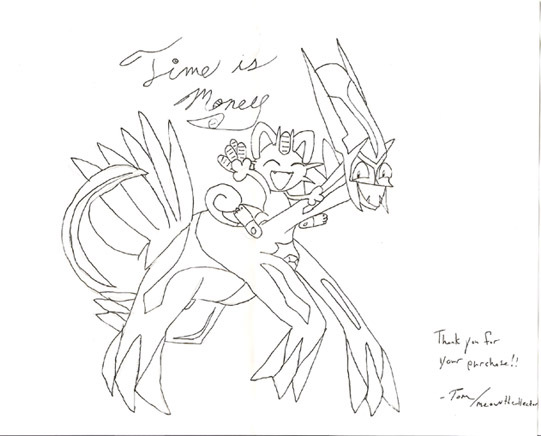 Giratina, Azelf, Uxie, Mespirit, and a few human characters also make appearances. This cute little card was a trade for some pan stickers. I think I got a good deal! 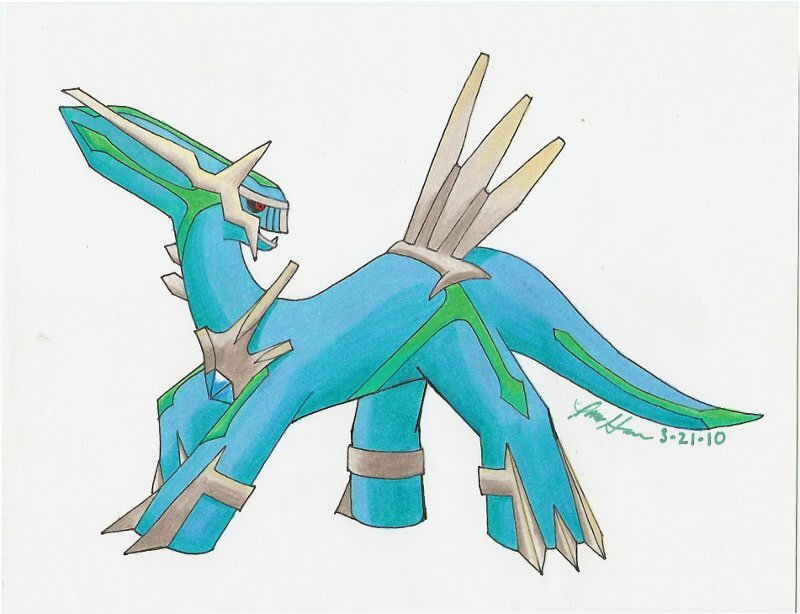 One of my first shiny Dialga items! I'm quite pleased with the style of this one. 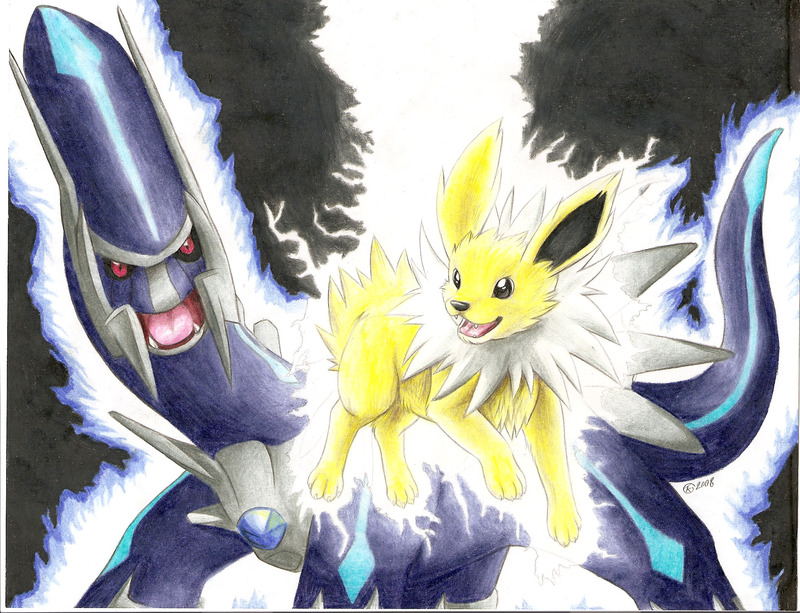 I made a sales post in pkmncollectors once, and Lawlzy drew this picture of my top two favorites and offered it in exchange for some items. I couldn't say no! 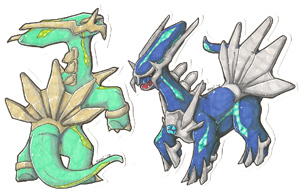 A bit of a trend in pkmncollectors, these are pieces of art that are (usually) hand drawn, cut out, and often but not always laminated. 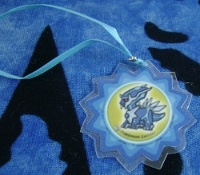 A hole and charm strap or keychain are sometimes added as well. 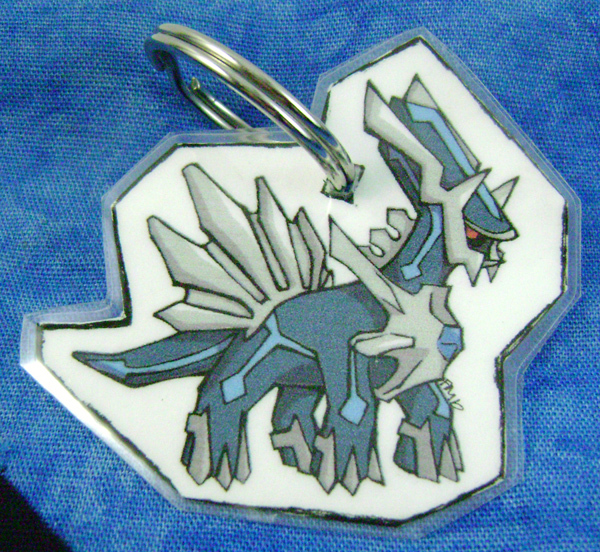 I've decided to make a mini-collection of these for Dialga too! 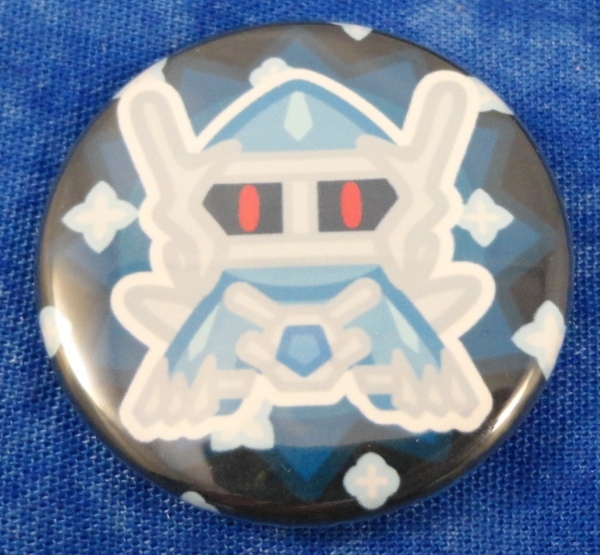 Irene draws Pokedoll art for many a Pokemon and laminates it to make these cute charms. 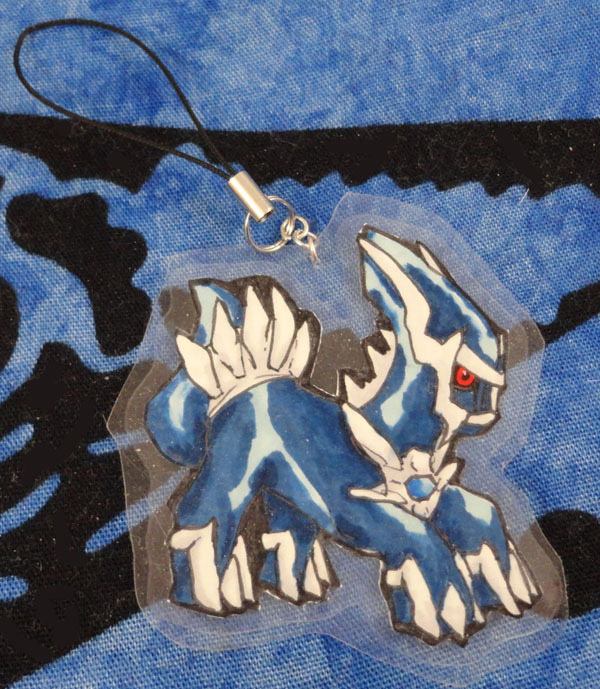 The sitting Dialga is modified from an icon she also made me (located in the digital art section of this page), and the one with attitude was made just for the charms. 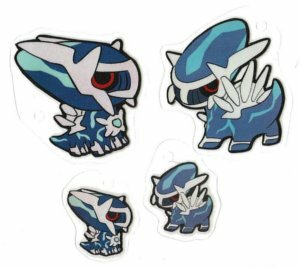 I got both small and large versions, and if Dialga didn't already have an official Pokedoll with tags, I'd ask for a custom tag from her too! 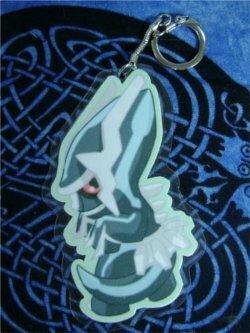 I really love Irene's Pokedoll charms, so when she opened slots for less chibi laminates as well, I jumped on the chance to get another Dialga. 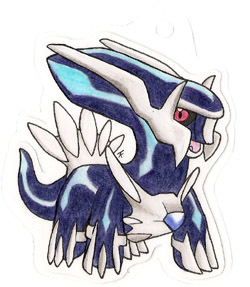 He is so perfect that I may not commission any more other Dialga laminates, though I do have several already ordered that I'll be adding here anyway. This one is a bit different from most of my other custom charms in that it's made of a sturdy plastic. I'm quite pleased with how it came out! 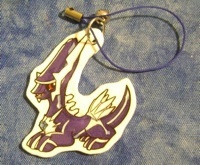 A cute laminated charm in a distinctive style, with a small bell attached! 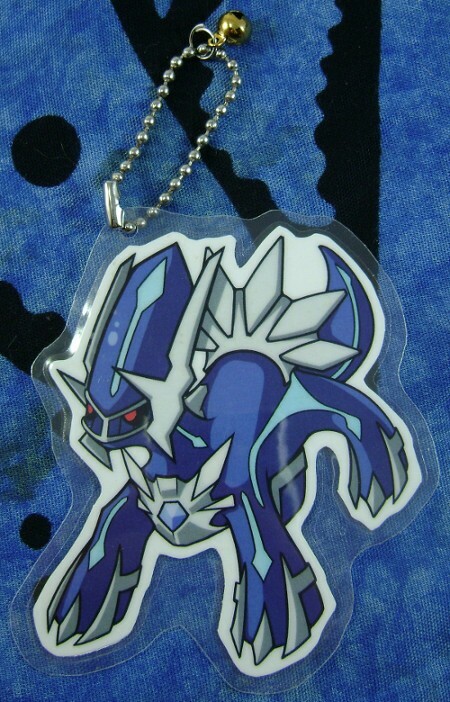 I received this as part of a trade for some Pokemon items, and I think it was my first custom Dialga item. It's nearly invisible in the scan, but the badge is laminated with the a hole to hang it with. 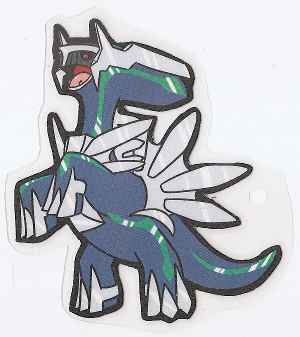 Silversnowcloak posted offering commissions of these laminated cutouts in trade for items only, not for direct sale. I was quite lucky and had some items to offer, so in exchange I got this lovely custom piece! My friend sorjei made this Dialga for me! I like the unique pose on this one. In addition to her bookmarks and other customs, nightmare_chan2 offers mini Pokedoll tag charms, much smaller than the real tags. 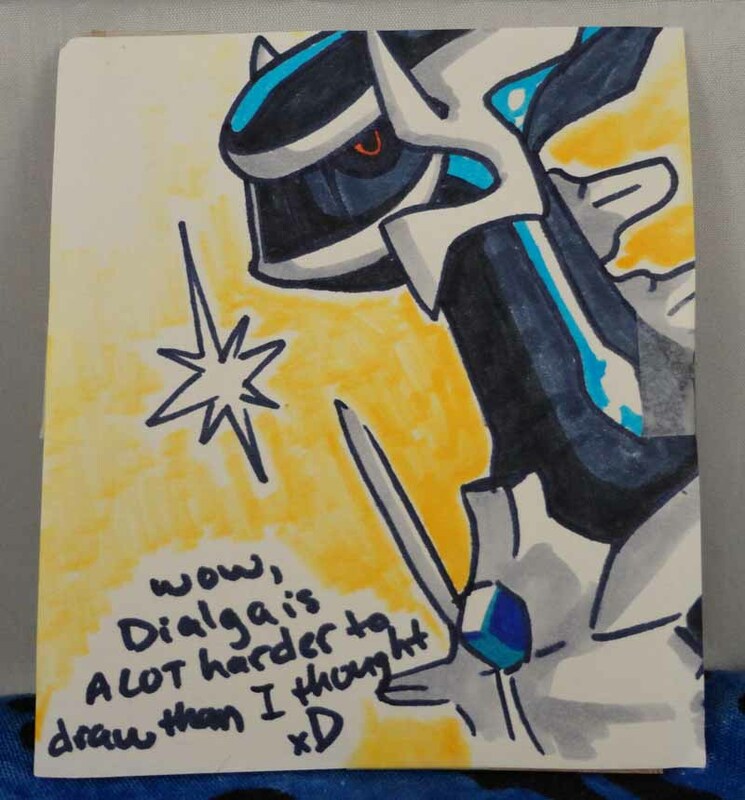 I requested a Dialga with unique art! 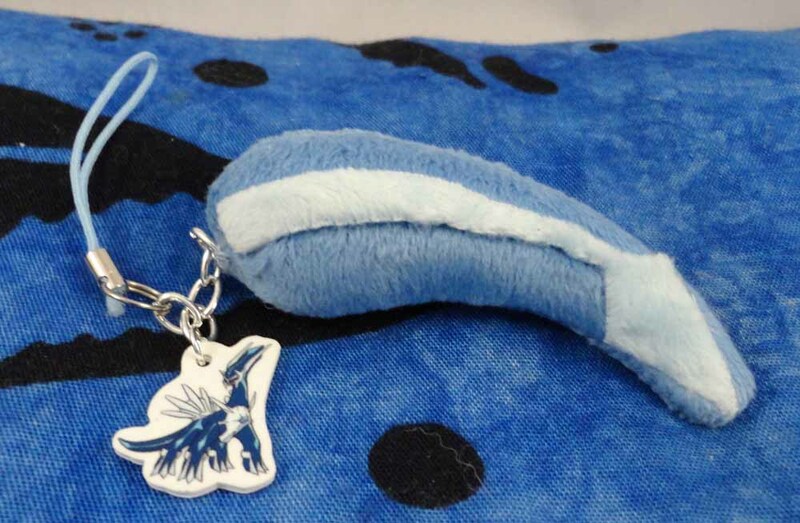 Meuniere offered some commissions for digital art printed and made into keychains. 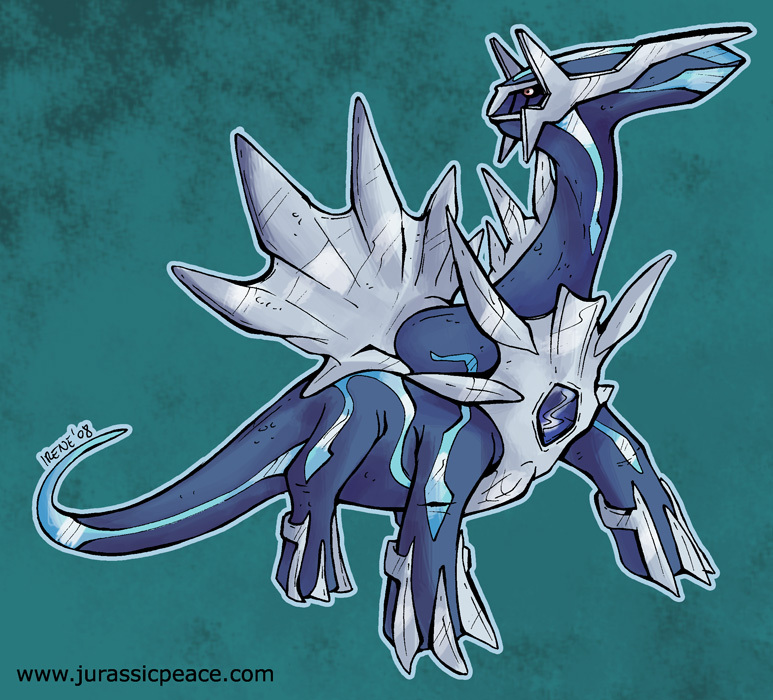 I loved the style of it, and here's the resulting Dialga! 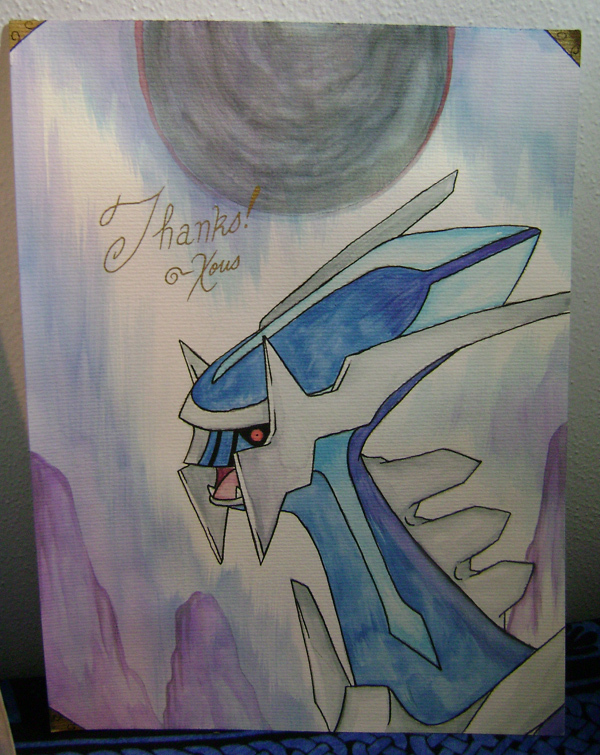 This one I actually did not commission, but got as a part of a trade I did with another Dialga fan, blackberrypie! Another laminated keychain set! I was a bit surprised how big this one was, but I like the unique pose. Lovely art made by my friend moguryuu (aka Featherclaw). I love how she gave Dialga a more reptilian look here, and that the silver stripes are reflective, just like in the movies! Another custom icon for my use on LiveJournal. Armaina made this very quickly, within a day of my ordering it! A custom icon for use on LiveJournal, made by Castform. 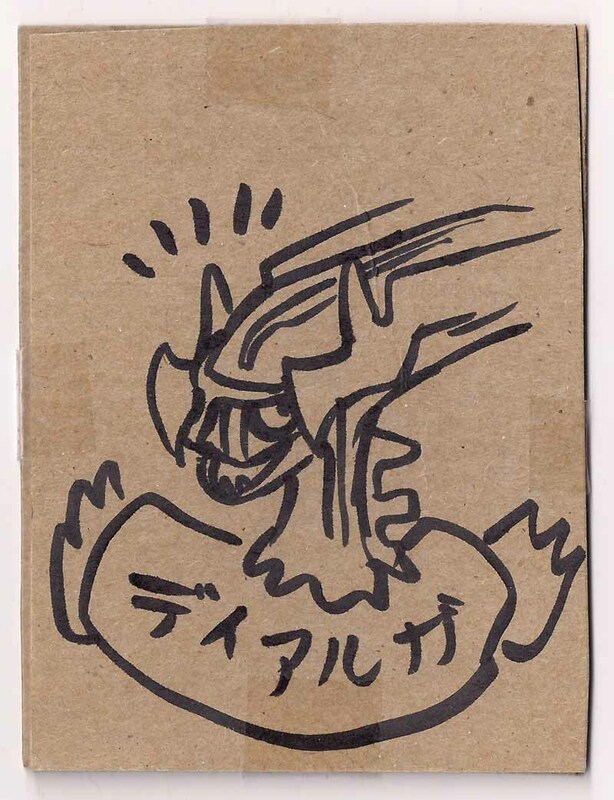 Package art is somewhat of a pkmncollectors tradition, where people draw your favorite Pokemon on the packages they send out to you ^_^ I save pretty much all of the package art that I get, but most of it hasn't been scanned and isn't included here. Another one from aarux. 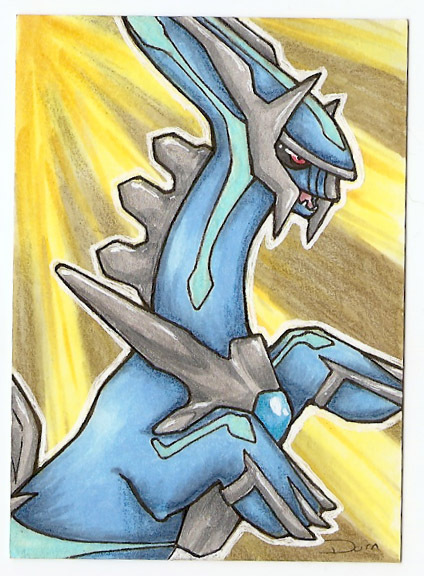 Despite Dialga being hard to draw, they accepted an ACEO commission of him, which you can see on this page!